HELLO FRIENDS... 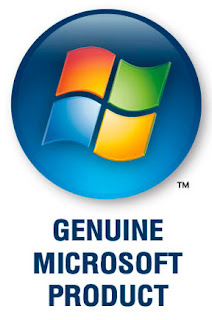 MANY WILL HAVE THE PROBLEM OF PROMPTING THE WINDOWS GENUINE WHILE UPDATING THE WINDOWS... MANY USERS WITHOUT KNOWING ABOUT IT WILL IGNORE.. BUT AFTER AFTER A PARTICULAR TIME, IT WILL GET BLOCKED COMPLETELY NEEDING TO RE-INSTALL THE OPERATING SYSTEM.. I HAVE TRIED SO MUCH AND FINALLY I HAVE GOT A WAY TO SOLVE IT..
NOW FIRST INSTALL THE WAT REMOVER..(only if ur system is asking you to make it genuine.... or else dont needed it) AFTER THAT U NEED TO RESTART YOUR SYSTEM..
THEN INSTALL THE GENUINE FILE. IT MAKES YOUR WINDOWS 7 ULTIMATE GENUINE..